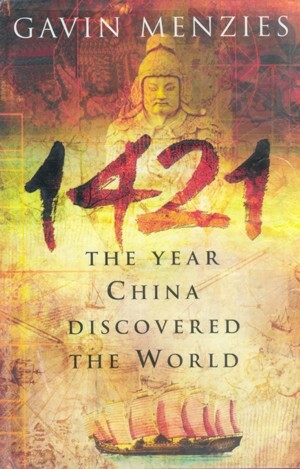 Now that China is taking over the world with American and Western money, the rewriting of history can begin. Not only are we shipping our money to China in return for products that rust and decay, we are now helping with the invention of China as a dominate world power going back 500 years. The author is British. One would think that China would be part of this, but this is not the case. Just as we are to blame for our own decline and China's rise, we are apparently helping them out with history too! Social Security fund will be Zero by 2037. But it will already be in the Red for 2011. The Associated Press: Social Security fund will be drained by 2037 However, the Congressional Budget Office (CBO) is reporting that the government will take in $45,000,000,000 (that's $45B) less than it is going to pay out for 2011. That sounds pretty drained already. So not only is there no real Social Security fund with money sitting in it waiting for us to make our withdrawals, the current workers paying into the system cannot even pay for the current pensioners. Something needs to be done now, but the older folks vote more than the younger folks. It will likely take something catastrophic to make any substantive changes to the system. State Bankruptcy Option Is Sought, Quietly - NYTimes.com: "Policy makers are working behind the scenes to come up with a way to let states declare bankruptcy and get out from under crushing debts, including the pensions they have promised to retired public workers. This is the next step to the Federal Government, not going bankrupt - they would just print even more money before they do that- but losing credibility in the financial markets and others around the world. Once we lose confidence in the dollar (the only thing it has going for it), the collapse will begin. First it was personal bankruptcies precipitated by the mortgage crisis, then municipal debt. Now the States are in the same situation. We no longer manufacture goods, we import more than we export, and we spend more than we earn. We are our own worst enemies - and the real enemies such as China will take advantage of our weakened State. The Temple Mount, the place where God's presence dwelt, the Holy of Holies - It is the most holy place on earth to Jews. It is so sacred that there are many that will not even set foot on the Mount itself. When we see Jews praying at the Western, or Wailing, Wall, that is only the wall that borders the Temple Mount. It gets its unique quality from the Temple Mount. There is nothing special about the wall, it is the Mount itself that holds value. They have also built another mosque underground for which they were compelled to extract various loads of materials in a nearby dump. Many are now going through the "garbage" and discovering several archeological finds. TempleMountIL From Youtube description of video: "From August to September 1996, large-scale construction work was carried out in the Solomon's Stables subterranean chamber and the passageway in the east Hulda gate in order to convert them into a mosque. The work was done by volunteers led by Sheikh Rayadh Salah. The volunteers removed the ancient paving stones, dug up the earth underneath, laid a new floor and installed lighting. The initial damage caused to the structure of Solomon's Stables lies in the fact that it has been converted into a mosque from its original purpose. The structure is originally Herodian and was an inseparable part of the Temple Mount compound during the Herodian period. Consequently, the structure should be treated as a historic relic of the highest order, its unique ancient character must be preserved and tourists should be allowed to visit it. Turning it into a mosque undermines its standing and enables the Waqf to prevent its preservation as a historical site and bar the entry of visitors. After the Muslims turned the historic structure into a mosque, they barred tourists from entering with the claim that it is "a religious structure." In addition to the considerable damage caused to the original structure, the construction work itself also demolished antiquities." China is attempting to undermine our economy more overtly every day. Their long-term goal has been to take our manufacturing jobs. They have accomplished that. Now they are attempting to remove the dollar's dominance as the international currency. China is not our friend. They are our enemy. Stop buying products made there. As you see their economy become more dominate, they will increase their military and their influence around the world. Judge Andrew Napolitano and Glenn Beck discuss the state of affairs in the United States today in this video. Among the topics is the test facing the newly elected Republicans. The interesting part of this is whether they will stop the nation’s debt ceiling from again rising. Beck says that the consequences of not raising the debt limit would be to, in essence, destroy the economy. The complete implosion of our economy is going to happen some time. Beck indicates that this could be the trigger to that collapse much like the Smoot-Hawley Tariff Act precipitated the Great Depression. Contrary to this position if the United States does not do something about the continuous flood of cheap imported goods into this country, our economy will continue its downward spiral. Increase tariffs, decrease taxes, and those that want to sell here would be encouraged to manufacture the products here. However, it is true that not raising the debt ceiling could trigger the collapse. What should be done is to cut spending, so we do not need to raise the debt ceiling. Tough times are ahead. If the debt ceiling is again raised, it will just happen later. Discussion in the video is also about how the Federal Reserve will help bail out the European economies. Since the FED is not part of the government and is private, it has be ability to do this although they are highly influenced by our government. Have not hear this one before, but it sounds feasible in today’s world even though the US does not have any money to bail anyone out. The only legitimate method is to reduce spending. However, the United States and most other countries have not been able to find the will to do this. Defaulting causes instant disaster, raising taxes can only get you so much, and printing money causes inflation. Stop spending and start making products in this country again. This is the answer to our economic problems. George Soros talks about a New World Order and the needed decline of the United States of America. He has taken down economies before and he will try it again. At his age, it looks as though he is trying to go for the biggest one out there, the USA, before his time is up. "An orderly decline of the dollar is actually desirable". He is attempting to move the world away from using the dollar as the sole reserve currency. "China will be the engine and the US will be dragging along." Now a weaker dollar does have some benefits. However a total restructure of the world's economy is not something that would be good for anyone except for perhaps the Chinese. Rapture? Not happening. Here’s proof! However, this is not a proof against the teaching of Jack Van Impe although his teaching has been questionable over the last several decades. This will prove the rapture, as taught by those like Dr. Van Impe, is not going to happen - at least not the way they describe. Remember, the rapture is the taking out of this world the literal body of believers. Second part of the proof: As you can see, the “first resurrection” are the martyrs who are beheaded during the reign of the Anti-Christ. Now see verse 5 above, “the rest of the dead did not live again” until another thousand years; the remaining dead did not get raised for 1,000 years! Now see 1 Thessalonians 4:15: “For this we say to you by the word of the Lord, that we who are alive and remain until the coming of the Lord will by no means precede those who are asleep.” (emphasis added) Those who are alive, believers walking and talking on Earth (perhaps waiting for a rapture), will not be resurrected before the dead. Remember the first to go are the martyrs. The rest of the dead will not go for at least 1,000 years! Then those that are alive at that time, after the 1,000 years, will be “raptured”. Proof that this relatively new teaching is false.